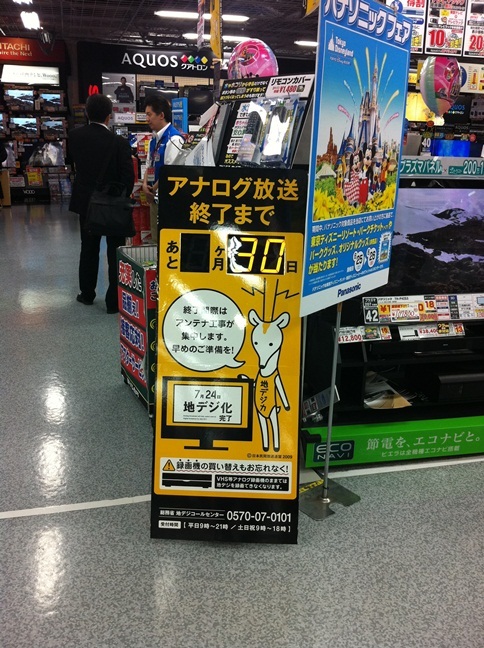 Recently our CEO, Calvin Chang, was in Japan and noticed the below image promoting a digital convertor box for the mandatory change for the TV signal in Japan to switch from partial analog to full digital. Having gone through that in the USA recently, I was actually shocked to find out that Japan had not already converted to full digital. Normally in the realm of technology, especially with TV, Japan often leads the way. In this case, itâ€™s notable because it shows that eventually nearly every nation will switch video broadcasts from analog to digital which will have an impact in a number of markets including ours. Creating digital content paves the way to offer higher capacity HD content which is the backbone of the Blu-ray format. This will spear greater appreciation and desire for Blu-ray content so that the audience can truly experience the clarity and vibrancy of Hi-Def. Even though the entire country of Japan is planned to switch over to digital in less than a month, those in the areas affected by the recent major earthquake and tsunami will be granted an extension of 1 year before they have to convert. 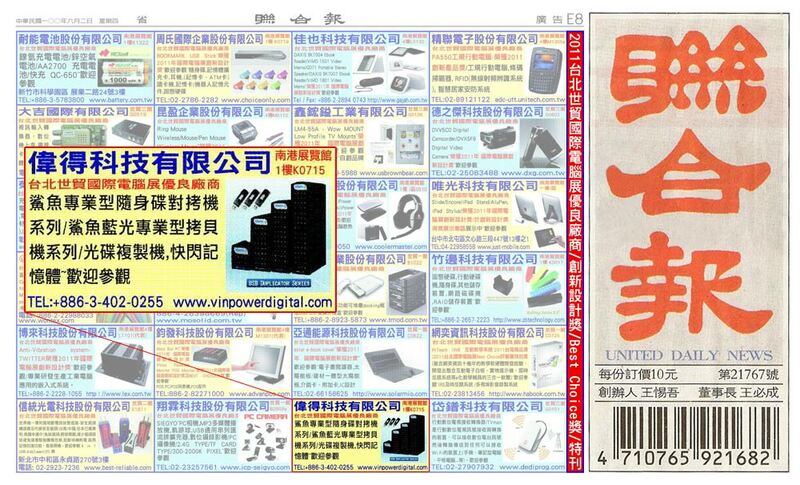 Vinpower Digital was awarded the Best Choice Award of the 2011 Computex Trade Show in Taiwan. We are extremely honored and thankful to all those who have made it possible. Purchases of Blu-ray Players & Content Are on the Rise. Recently an article came out discussing the findings of the NPD Group, a CE Market Analysis firm, which showcased the rise of popularity for Blu-ray players and content. This article, which you can review by clicking or copying and pasting on your web browser from the below link, shows how the increase in Blu-ray has stemmed the tide in the decline of Home Video. This shows that as we have anticipated, Blu-ray duplication will become a more dominant factor in the very near future, so make sure the duplication equipment you use is Blu-ray capable and provided the reliability, band-width, and capabilities necessary to make multiple high speeds copies.